Barley Sugar also offers an unrivalled selection of mouth watering artisan chocolate and sweets. All of our sweets and chocolates are made by passionate chocolatiers and sweet makers each running very small, bespoke businesses where quality and provenance are key. 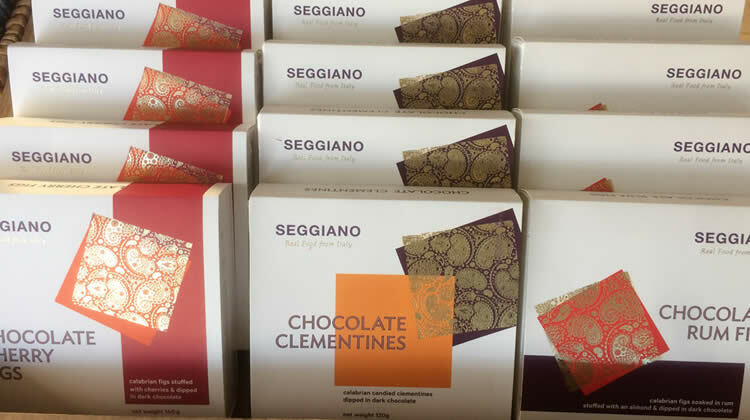 So if you need a special chocolate gift or treat for someone special, it’s well worth popping in to our Eastbourne deli…..you never know, we may even be sampling some of these delicious chocolates!! Pana Chocolate - Raw, organic, handmade chocolate. Pana chocolate bars use no refined sugar, no dairy, no soy, are vegan and gluten free….but are still one of the most delicious chocolates you’ll ever taste. Available in a variety of fantastic flavours and spectacular packaging, Pana chocolates are an ideal small gift. Sarah Bunton Chocolates - Award winning artisan chocolatier producing luxury hand made Welsh chocolates. Stach - Stylish and very delicious chocolate bars from Amsterdam. Very impressive!! Madécasse - a Brooklyn-based chocolate and vanilla company established in 2006 by two Peace Corps volunteers who served in Madagascar. All of the cocoa is certified Direct Trade and is sourced directly from Malagasy cocoa farmers. If you have a sweet toooth a trip to Barley Sugar’s chocolate section could be just the ticket! !